The Moody Gardens Hotel is one of the best places to stay in Galveston for a variety of reasons—one of which is our value-priced hotel packages. We understand our guests want to experience a great vacation without busting the bank! Check out our great hotel packages that make your dream vacation affordable. This package includes a room in the hotel and two-day value passes for the Moody Gardens attractions. The value passes include admittance into the Aquarium Pyramid, Rainforest Pyramid, Moody Gardens 3D Theater, Ridefilm Theater, Discovery Museum, Colonel Paddlewheel Boat, and Palm Beach (summer season). The package also includes complimentary valet parking and yoga on Saturdays and Sundays. This romantic package includes a stay in one of our popular Jacuzzi suites for two. The package also comes with a bottle of champagne, chocolate covered strawberries, a rose delivered upon arrival, a delicious breakfast for two either in your room or at the Terrace Restaurant, complimentary valet parking, and complimentary yoga on Saturdays and Sundays. For newlyweds. we offer a luxurious room for two! 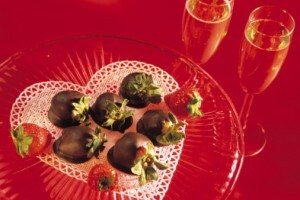 The package includes a bottle of champagne, chocolate covered strawberries, a rose upon arrival, breakfast in your room or at the Terrace Restaurant, and complimentary yoga and valet parking. For the golf lover! This package includes a luxurious room with your choice of one king bed or two queen beds. When you aren’t enjoying your luxurious room, you will be spending time on the green! The package also includes a round of golf at the Moody Gardens Golf Course (per person), a golf cart, and a bucket of range balls. Be sure to book your tee time before arrival. They can be booked 45 days in advance. Contact the hotel’s reservation department to book your package today! Call 1-888-388-8484.